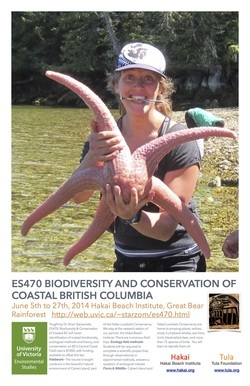 ES470: Biodiversity & Conservation of Coastal BC was offered from 5 - 27 June 2014, taught out of the Hakai Institute. This was the last version of the course until at least Summer 2018. See below for information about the course, or contact Dr. Starzomski (email) for more details. A copy of the 2014 course poster is available here. The syllabus can be found here. 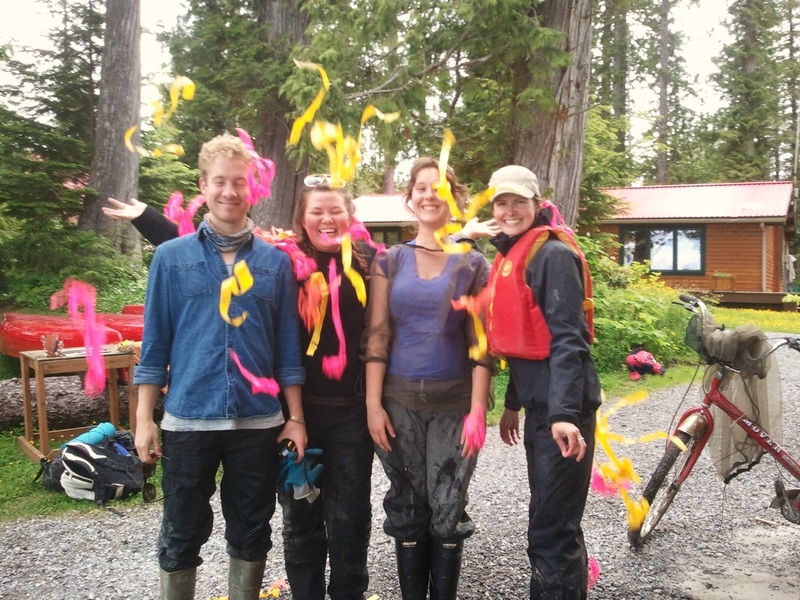 Permission to register for the course must be granted by the School of Environmental Studies, and to be eligible to register, prospective students must apply to Dr. Starzomski. To apply, please send a copy of your CV/resumé, transcripts (unofficial is fine), and a 500 word essay detailing why you would like to take the course, what you hope to learn, your interest in the Central Coast, and how this course will help in your career and education goals. Please also indicate that you have completed one of the prerequisites (ES301, 321, or 341), or describe another course that may be eligible as an equivalent (e.g., an Ecology course). These application materials will also serve as the application for one of the course scholarships (up to $1000 of the $1000 course fee). All materials should be sent as 1 pdf file to Dr. Starzomski (email) by 5pm on Friday, January 31st. Note: These texts may change slightly before the course. 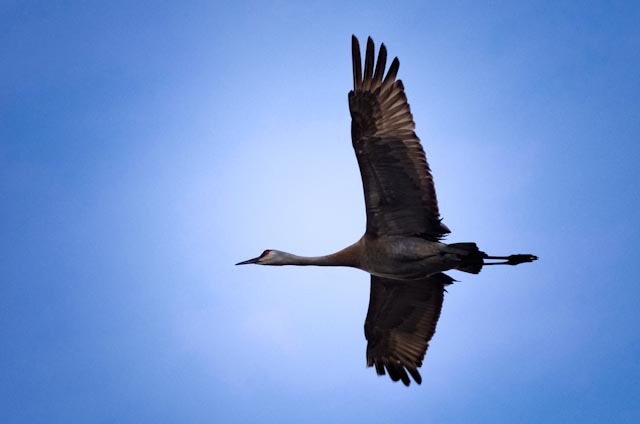 The National Geographic Field Guide to Birds and Whelks to Whales have both recently been updated; the newer versions are preferred but not absolutely necessary. The Sibley Guide to Birds of Western North America is also an excellent choice in place of the National Geographic Birds of North America. Dunn, J. L., and J. Alderfer. 2006. National Geographic Field Guide to the Birds of North America, Fifth Edition, 5th edition. National Geographic. Harbo, R. M. 2011. Whelks to Whales: Coastal Marine Life of the Pacific Northwest, 2nd edition. Harbour. MacKinnon, A., and J. Pojar. 2005. 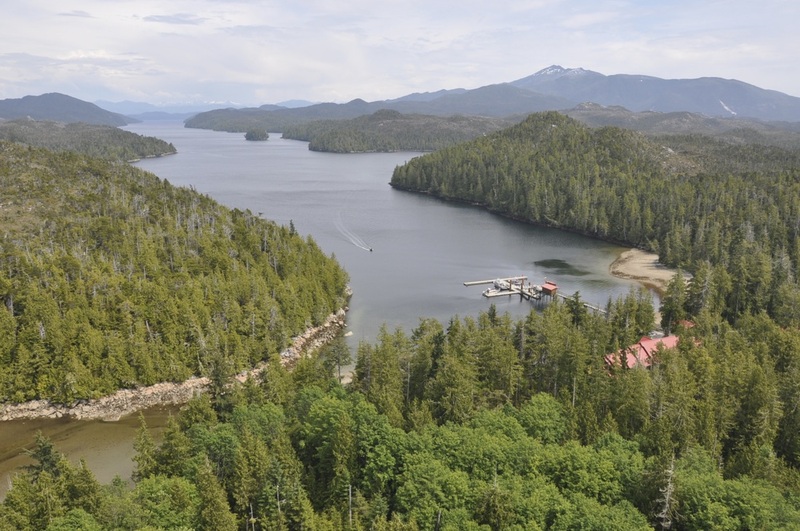 Plants of Coastal British Columbia, Revised. Lone Pine Publishing. Krebs, C. J. 1998. Ecological Methodology, 2nd edition. Benjamin Cummings. Zar, J. H. 2009. Biostatistical Analysis, 5th edition. Prentice Hall.